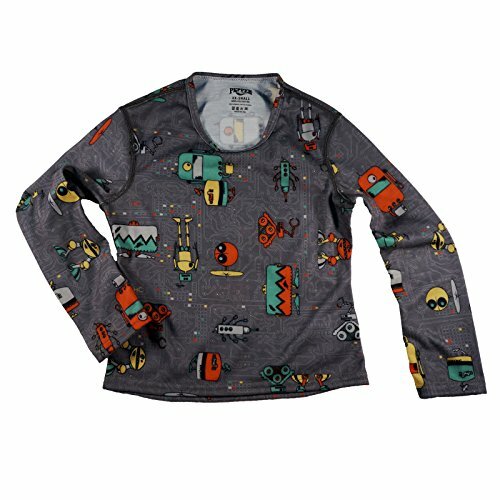 Hot Chillys Pepperskins Base Layer Crewneck Top Youth Bots Print Charcoal (XXS) by Hot Chillys at Notakem Bara. Hurry! Limited time offer. Offer valid only while supplies last.